Kraftwerks uses only the highest and more free flowing air filters with their kits. Don’t replace your filter with a sub-par version, trust the air filter Kraftwerks recommends. 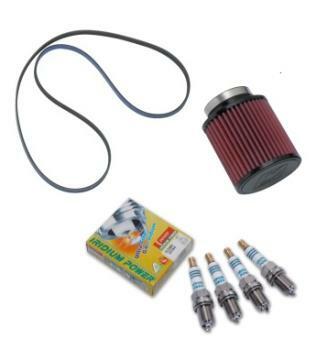 This Rotrex magnetic oil filter will keep your Rotrex supercharger happy for many years to come! You should change it every 50,000 miles. Improve your engine’s overall performance with a set of high performance spark plugs. The Denso Iridium Power IK22 spark plugs increase power and torque in both naturally aspirated and boosted applications. Denso’s .4mm diameter iridium electrode is the world’s smallest and produces a more concentrated electrical field.